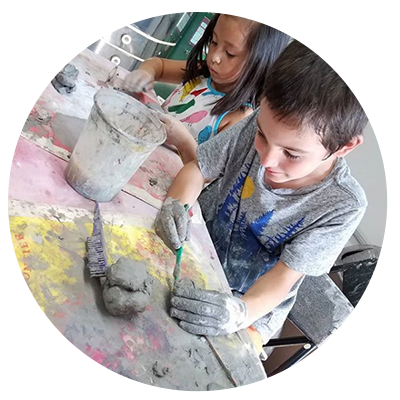 Imagination leads the way in our weekend classes! Each season we offer an array of creative classes. Our classes are the perfect way to experiment with materials you’ve never used, or to learn new techniques you’ve never tried. It’s also a fun way to spend time with your child or with a friend, and get creative! Book at least 3 days in advance by reserving online or emailing claire@magicalmindsstudio.com if you have a punch card. If fewer than 3 students are enrolled the Wednesday before the class, the class will be cancelled and registered participants will be offered a refund or a transfer to a comparable class.